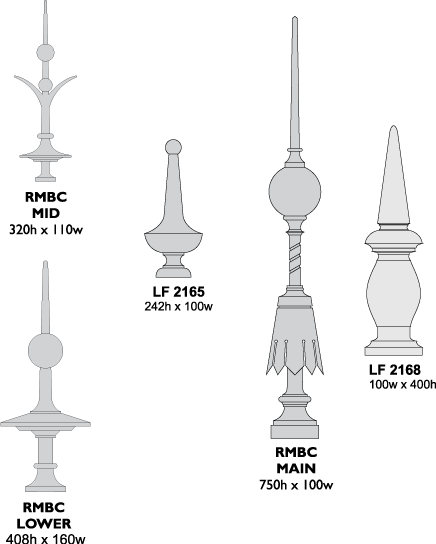 Scale drawings of finials and other components are in our catalogue. These are our larger and more decorative finials, ideal for the roof of a conservatory or even a house. We can supply fixings to suit most situations.